The Green Bay Packers this week released nine-year veteran A.J. Hawk. It wasn’t much of a surprise as Hawk’s playing time and performance had decreased over the past season and his departure was somewhat expected. Over his career, however, Hawk was able to establish himself as a solid linebacker. In fact, based on numbers alone, Hawk will go down as one of the Packers most dependable defensive players in the team’s history. * Hawk last season became only the 27th player in Packers history to play in 140 or more games with the team. * Hawk is one of only six players the Packers drafted in the first round who eventually played 140 or more games with the team in his career. 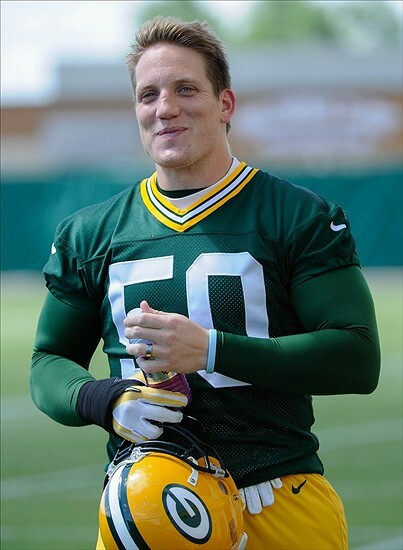 * Hawk is one of 19 Green Bay Packers players who has played in 13 or more playoff games with the Pack. Let’s take a look at that stat where Hawk was one of 27 players to play in 140 or more career games with the Pack. Of the 27, 20 were drafted by the Packers, five were free agents, and two were drafted by other teams. Here’s a breakdown of those players.